Rishi Kapoor Is Mighty Impressed By The Trailer Of Konttho! After warming our hearts with the beautiful love ballad 'Shobai Chup', the makers of Konttho have finally released the much-awaited trailer of the film. And must say, the mind-blowing trailer is not only breaking the internet but is also receiving tons of appreciation from all corners. 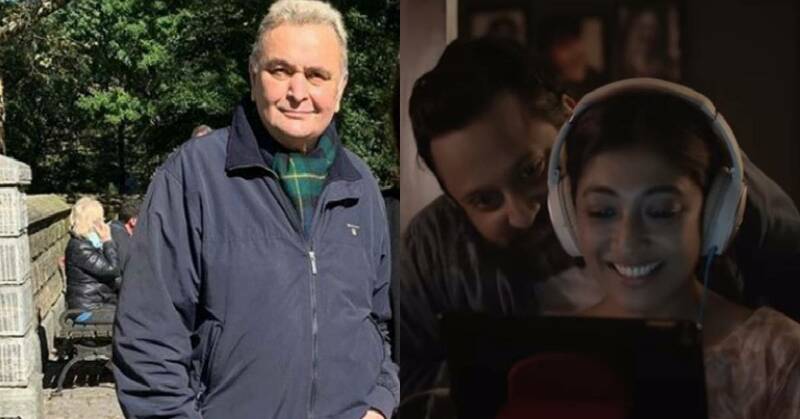 Among the several praises that are being showered on the outstanding Konttho trailer, some are also from one of Bollywood's finest actors - Rishi Kapoor. In fact, the veteran actor was so impressed by the trailer of director duo - Shiboprosad Mukherjee and Nandita Roy's Konttho that he took to his Twitter handle to express his admiration for it. Rishi Kapoor shared the link of the trailer and wrote, "Shiboprosad Mukherjee's new movie trailer. Very impressive." Konttho revolves around the life and struggle of a cancer survivor and features Paoli Dam, Jaya Ahsan, and Shiboprosad Mukherjee. The film is directed by Shiboprosad Mukherjee and Nandita Roy, the power director duo who has delivered critically acclaimed hit films like Accident, Muktodhara, Alik Sukh, Ramdhanu, Bela Seshe, Haami, Praktan and Posto in the past. Konttho talks about laryngeal cancer and is poised to release on May 10, 2019.